The right experience matters when it comes to looking and feeling your best. Returning for the eighth consecutive year as a Top Doc in Plastic Surgery, board certified plastic surgeon, Dr. Bob Basu, performs several hundreds of cosmetic breast procedures and mommy makeovers each year. 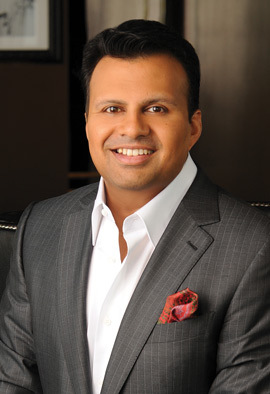 He is an elite Allergan Black Diamond provider, placing his practice in the top 1% of breast implant practices in the nation—not just Houston. Dr. Basu is also a top ranked plastic surgeon in Houston by Realself.com. He was recognized with the Realself100 award, placing him in the top 2% of cosmetic providers in the nation. As a national leader in his field, Dr. Basu serves on the Board of Directors of the American Society of Plastic Surgeon (ASPS). He is also the Chair of the Patient Safety Committee for the society. Given his expertise in patient safety in cosmetic surgery, he was most recently tapped to serve on the Board of Directors of The American Association of Accreditation for Ambulatory Surgical Facilities (AAAASF)—the entity that certifies the safety and quality of cosmetic surgery centers. Beyond the credentials, visit Basu Plastic Surgery to experience our unique concierge level care. Opting for plastic surgery is a very personal decision and it is normal to feel nervous. Dr. Basu and his team have a deep commitment to making sure you are comfortable and have confidence in what can be safely achieved to help you realize your goals. Most importantly, visit our website and review hundreds of before/after photos in our galleries—a testament to his work, because at the end of the day, its all about your results.